The warm comfort that carpet provides is not just your imagination. 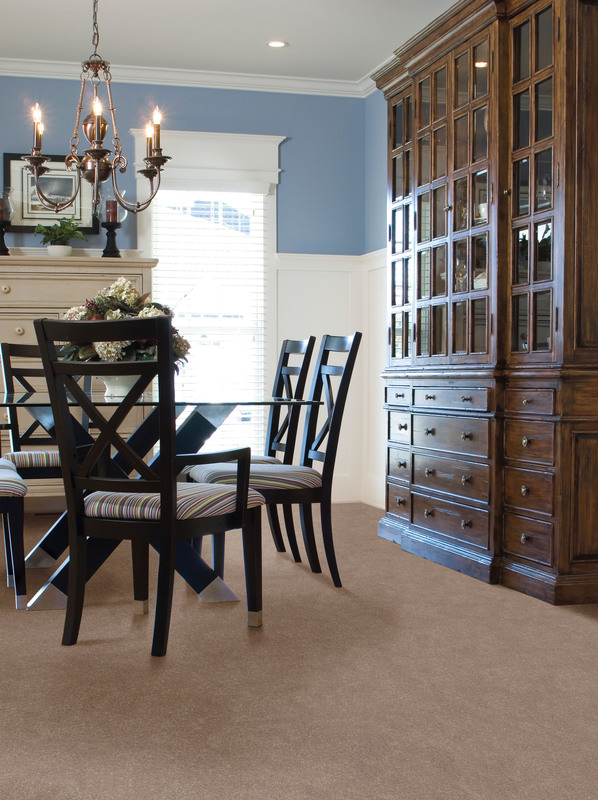 Unlike other types of flooring‚ carpet is a natural insulator‚ providing additional warmth in cold seasons. The use of carpet in a wall–to–wall application actually increases the R–value‚ or insulation level‚ of the carpet area‚ potentially saving homeowners like you utility costs while reducing energy use. The R value (thermal resistance) measures how much a material resists the movement of heat through a ceiling‚ wall or floor in a building. The higher the number‚ the more effective the insulation. Recently‚ tests carried out at the Johns Manville Technical Center Thermal Labs‚ one of the most sophisticated laboratories of its kind in the world‚ confirm carpet and pad significantly increase R–value compared to other flooring materials. Results varied according to the carpet’s construction‚ with heavier products generally providing higher R–value. Carpet with cushion represents a clear advantage in insulation capability over hard surface flooring. Of course‚ potential energy cost savings by using carpet and cushion in lieu of hard surfaces will vary widely. The type of floor construction, local energy costs‚ climate‚ and carpet/cushion type all affect how significant these savings could be. Obviously‚ savings would be greater in colder regions of the country. Choosing the right species of wood flooring is strictly a matter of style, budget and personal preference. More than 50 domestic and imported species of wood are available to achieve a unique look. Dark woods, such as walnut or mahogany, generally make a room seem more stately and refined. Medium woods, including hickory and oak, create a warm and cozy feel for any space. 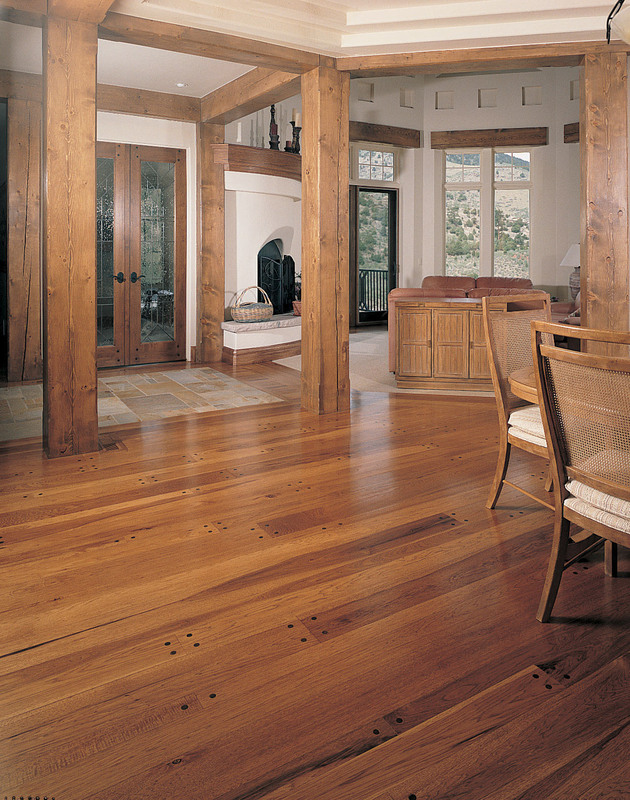 Light woods, such as ash or maple, usually make a room appear more open and airy. Exotic species can offer even more color options. Bubinga, which originates in Africa, can appear pink, red or reddish brown, with purple streaks or veins. Australian Cypress ranges from cream-colored sapwood to honey-gold heartwood, with dark brown knots and holes throughout. Burmese Teak from Asia varies from yellowish brown to a dark, golden brown. Once you decide on a look, consider how the floors will be used. Are you a retired couple living alone or do you have a busy family with young children and pets? Each wood species is rated for its hardness and durability using the Janka scale. The Janka scale gives a good indication of how likely a wood is to dent or show other wear. For example, domestic black cherry is ranked at 950 on the Janka scale, while Brazilian cherry is ranked much higher at 2,820, nearly three times the hardness of the domestic species. Black cherry would be a good choice for an older couple because their floor will see less traffic, while the Brazilian cherry might be best for the busy family with small children and an active pet. You have only minutes to escape during a fire. Working smoke alarms save lives. 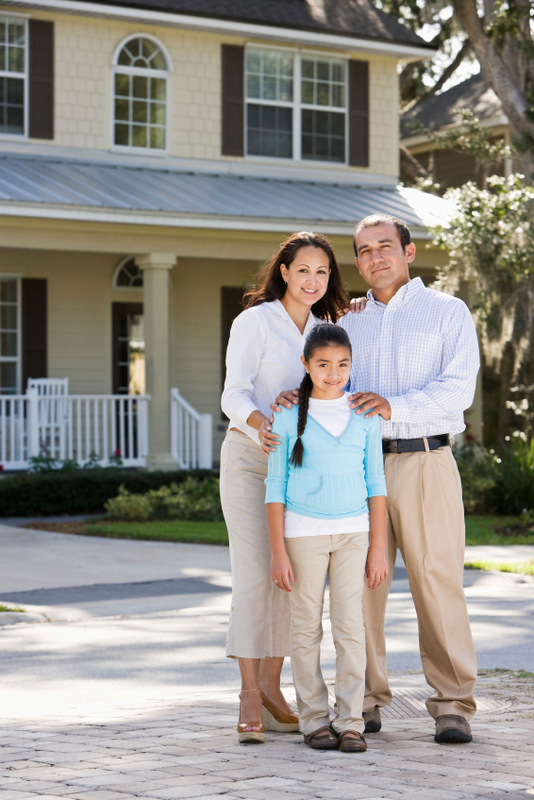 More than 2,200 people die each year because of unintentional home fires. Almost two-thirds of these fire deaths occur in homes with no smoke alarms or with smoke alarms that don’t work. A smoke alarm’s warning can cut the risk of dying from a fire in your home by almost half. Install a working smoke alarm on every level of your home, outside sleeping areas and inside bedrooms. All hardwood floors should be cleaned regularly. Simply sweep, dust mop or vacuum the floors with the beater bar turned off to remove dirt and grit from between the floorboards. 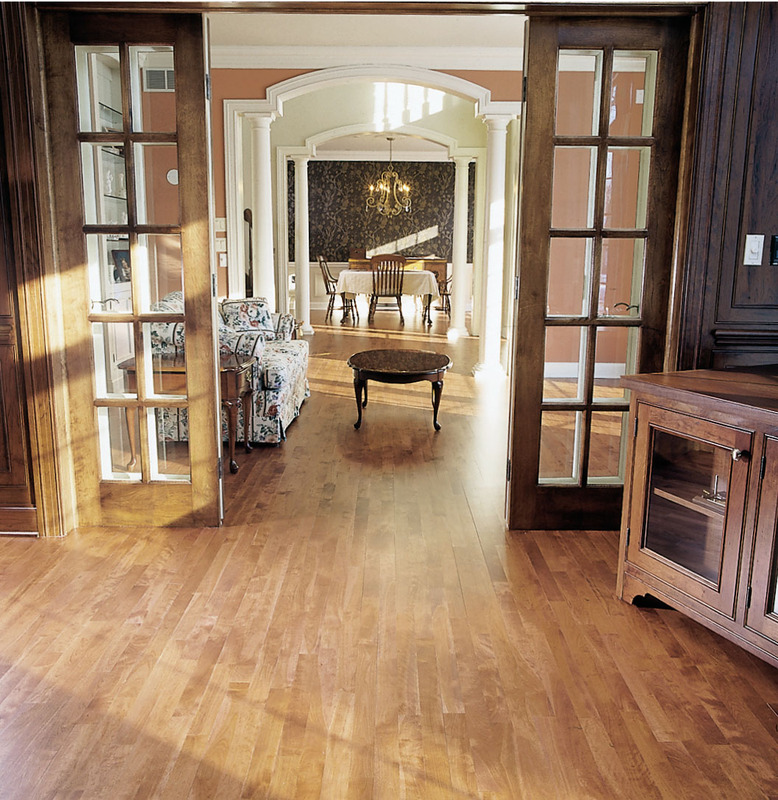 Avoid using a wet mop on hardwood floors as it can dull the finish or even damage the wood over long periods of time. Place scatter rugs at all entrances, avoiding those with rubber backs, which can discolor wood floors. Special rug mats that protect your floors from discoloration can be purchased from a wood flooring retailer. 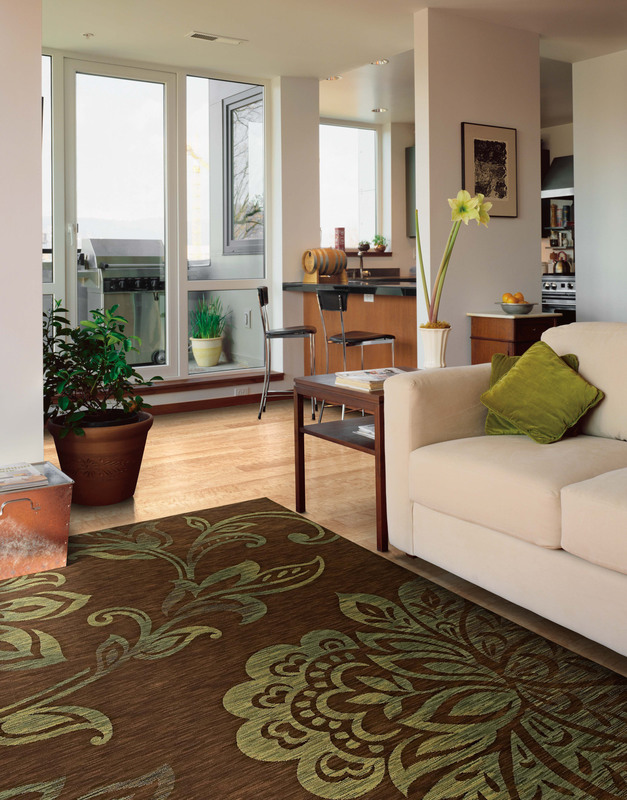 Scatter rugs will help keep outside dirt and other debris from scratching the floors. Scratches can also be prevented by placing floor protector pads on the bottoms of the legs of any furniture that come into direct contact with the floors. When spills occur, they must be cleaned immediately with a dry or slightly damp cloth. Allowing spills to remain on wood floors could damage the finish and possibly the wood. Avoid walking on floors with sports cleats or high heel shoes that are in disrepair. These can scratch the finish and even dent the floor. Finally, when the floor begins to look a little dull, a recommended wood flooring cleaner should be used to renew the luster. Be sure to use the product as directed and verify it is compatible with that particular wood floor. Using the wrong type of cleaning product could damage the finish and possibly damage the wood, as well.